Karen Ingalls (@kareningalls1) recently celebrated a blog anniversary at Outshine Ovarian Cancer. I have been following along with Karen and her story for quite some time and have read her book Outshine: An Ovarian Cancer Memoir. Outshine is an inspiring book that not only chronicles her battle with ovarian cancer but shows a deep faith and spirit. Karen had a giveaway to celebrate the anniversary of her blog. I was a lucky winner of this beautiful plaque that now graces a shelf in my office alongside a photo of myself in my early days of illness and a beautiful glass that belonged to my paternal grandfather (one of the few possessions of his that I am able to have in my home). The plaque reads: I can do all things through Christ who gives me strength…Phil 4:13 . Thank you Karen for such a lovely gift. Since writing Outshine: An Ovarian Cancer Memoir, Karen has had a recurrence of cancer and gone through yet another round of treatment. Karen is a brave lady and I am happy to call her a friend despite never meeting in person. The Allergic to Life Giveaway is over and I am excited that there were 496 entrants in the Goodreads Giveaway. Goodreads selected the three winners and all books are on their way. One of the winners is a fellow Rave Reviews Book Club member, Kenneth Kerr. Congratulations Kenneth your book is on its way! Because of the number of those commenting, I chose to have one more name selected. I would also like to congratulate: Princess and the Pea. I am still dealing with my partial deep vein thrombosis. In my last post dated October 1st, Be Careful Around Sharp Objects, I talked about discovering that my INR (prothrombin clotting and international normal ratio) was at 5.9 and I was to stay off the Warfarin for 2 days and retest on Friday, October 3rd. I did the retest and my level was still at 5.9. My doctor had me to continue to stay off Warfarin through the weekend and retest on Monday. Monday my level was 4.3 (still too high). On Wednesday my level had gone down to 3.7 and my doctor’s MA phoned and said I was to start up again but at 4 mg.
As I have said many many times, you need to listen to your intuition. Your gut does not lie. After doing some research I learned that my antifungal medication could have an affect with the Warfarin causing my blood to be too thin. I could not stop the antifungal without risk of a recurring infection. I phoned my doctor’s office again and asked to speak with the doctor. I explained my sensitivities to medication and what I had learned about the antifungal medications. She agreed to have me take 2.5 (half of my 5 mg) tablet for a week and then retest. I had my blood drawn this past Tuesday because I was meeting with the hematologist for the first time. My husband needed my car on Tuesday so I opted to drive the truck. I got to the doctor’s office only to find that I had my necessary paperwork, a steno pad for notes, but not my Kindle (it was in my car). Following are the notes I wrote while waiting to meet my new doctor, the hematologist. The first thing I notice about the waiting room is that it is quiet, there is no carpet, and only a few others are in the waiting room along with me. Then I see the sign on the counter. It says something about being patient because the wait could be an hour. I can watch old reruns of Bonanza or I can sit and try and pass the time writing in my steno pad. Maybe I will start my blog post that I had planned to do a few days ago. My doctor is a Medical Oncologist and Hematologist so there is a lot of serious treatment going on in this office. A woman in a wheelchair has just been pushed into the waiting room. And of course the first thing I notice is the can of Diet Dr. Pepper in her hand! I am containing myself. All I want to do is run up to her and shout out how dangerous this is for anyone and particularly someone with health issues. Of course, I am sure this won’t go over well. I can just see her face as she looks at this woman hiding behind the mask telling her what she should or should not be drinking. The time seems to be dragging on. I work on this blog draft and I work on a short story. Anything to keep my mind occupied and off the reruns and what the hematologist is going to say about my leg and all the labs that have had me scared to death ever since I first learned that I have two mutations that can cause blood clots as well as a possible Protein S deficiency (although a test years ago said I didn’t have it). Finally, the MA comes to get me. I am led to the back and all my vitals are taken. My blood pressure is 143/80. This is high for me. Is it because it is late in the day? Is it the stress of meeting this new doctor and not only having to discuss my current problem but filling her in on all my past history? Is it the Warfarin?Then I am asked to stand against a wall while she takes a picture of me. Smile she says and I laugh to myself. Who would know if I was smiling or not behind the mask? I am then led to a room to go over the paperwork I had filled out and the list of my many allergies and sensitivities. Okay…she wants me to go over each medication I have placed on the list and tell her what kind of reaction I get from it because she has to list all this in the EMR. We are going to be here all day just doing this. Finally she says can you tell me which are the most severe. Taking the paper and pen I begin putting an “S” by those that have caused the most severe reactions. As I do so I say things like “this one sent me to the ER”, “this one caused photosensitivity”, this one sent me to the ER” , etc. until I am finished with the list. The MA tells me the doctor will be in shortly to talk with me. By now I have been in the office about 45 minutes, something I am not accustomed to since Dr. Spitzer and Dr. Butler see me as their first patient. The light in this room is so very bright! I can hear the clock on the wall tick tick ticking the seconds and minutes away. Between the light and the ticking of the clock I can feel my body being overstimulated! Should I turn off the light? I desperately want to drag a chair over to the door, step up on the cushion and yank the clock from the wall. Oh how I wish I had my Kindle. I could distract my mind from the clock if I could only just sit and read. My eyes look around the room in hopes of finding something to distract me. There it is. Sitting at the sink is a bottle of antibacterial soap. Oh, please don’t let the doctor come in and decide to use the soap. Is it possible I can stop her first? I can hear chatter outside my room. There is so much going on that my poor brain is in overload and I feel exhausted just from the noise and light. I am so thirsty! I don’t dare drink anything because I cannot risk having to go to the bathroom. I really want to be here and see this amazing doctor yet my body is yearning for quiet and dark. The doctor comes in (continued in Part 2). I apologize if my thoughts are scattered and this seems to ramble on. My “Allergic to Life” Giveaway Ends Soon! First let me thank all of my new followers. I have been away dealing with my deep vein thrombosis. I will write more on that after I meet with the hematologist tomorrow afternoon. It is hard to believe it has been a year since Allergic to Life was published. Where did that year go? So much has happened since then. If you haven’t already signed up to receive one of three signed copies or the chance for one of three e-book copies, please read the giveaway information below. To celebrate this amazing year and all the wonderful people I have met, I am giving away three signed copies of Allergic to Life (US Only) on Goodreads. I am sorry that I can’t do signed copies for those of you outside the US. I am going to also give away three e-book copies to anyone outside the US. To receive an e-book copy, simply leave a comment below on why you would like to receive a copy. The contest will run from August 30, 2014 through October 30, 2014, my birthday. Monday morning I had my blood test to see what my INR (blood clotting time was). Ideally while on Warfarin it should be between 2.0 and 3.0. My number was 2.9. Today I went in again to have my blood level checked. They couldn’t get blood from the old faithful vein in my right arm. They found what they thought would be a good vein in my left arm. Because the order was STAT they were supposed to get 2 vials of blood. They got the needle into my tiny and very twisty vein. The first vial of blood comes out and as they start to collect a second my vein blows. I am not surprised. Back in the days when I had so many blood tests, I began having this issue with using my veins too much. They bandaged my arm and told me not to lift anything for at least an hour (not an easy task with a three-year-old waiting for me at home). Thank goodness my husband was there. I now have a very ugly hematoma on my left arm that is ugly and very tender. This afternoon when I phoned to get my INR level I was told that it was now at 5.9 (nearly double the acceptable upper level). This may have to do with my dose being upped on Saturday to 10 mg and then dropped back down to 5 on Sunday. It can take four days for changes to show up and today would have been four days since Saturday’s dose. I am to stay off the Warfarin for two days and retest on Friday (assuming I have any way of giving them the blood). I am being extremely careful around anything sharp and have removed my rugs and anything that may cause me to take a tumble in the meantime. I meet with my doctor tomorrow. We will be discussing many things. One is that I want to be referred to a hematologist who can possibly better manage my blood levels. 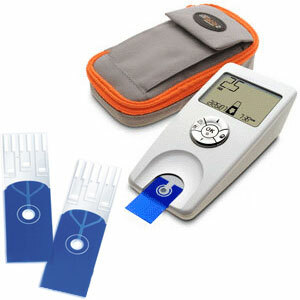 I am also going to ask for a self INR test machine. Where I only have to poke my blood with a lancet and put it on a test strip similar to what diabetics use. The result will be instantaneous. I call a number, give my ID and the level and my doctor is notified immediately of the results. I can’t continue to poke my veins 2 or 3 times a week. They are not going to hold out. I believe it is covered under medicare or my insurance company as a loaner. I am spending a lot of time the rest of this week being very sedentary and reading. I will pop in to the office for short spurts periodically to check on my email, etc. Needless to say this is too much of Been There, Done That for me right now. I hope you all are doing well. Are you 1 in over 1,000,000? In honor of Invisible Illness Week, I share this video with you. You all know that I am celebrating the one-year anniversary of publishing Allergic to Life where I am giving away books through Goodreads and my blog. This week is also Invisible Illness Week. In celebration of Invisible Illness Week, I am also giving away a copy of Allergic to Life: My Battle for Survival, Courage, and Hope on the Chronically Content blog site. Please visit this wonderful blog and enter for another chance to win a copy of my book. Today is the start of National Invisible Chronic Illness Awareness Week which runs through September 14th. How many of you who are ill with environmental illness, chronic fatigue, fibromyalgia, etc. have been told that you don’t look sick? I have been told that I look good when I feel horrible. On one hand I am glad that I am not looking as horrible as I may feel but it is hard to explain to others when you may not look as bad as you feel. 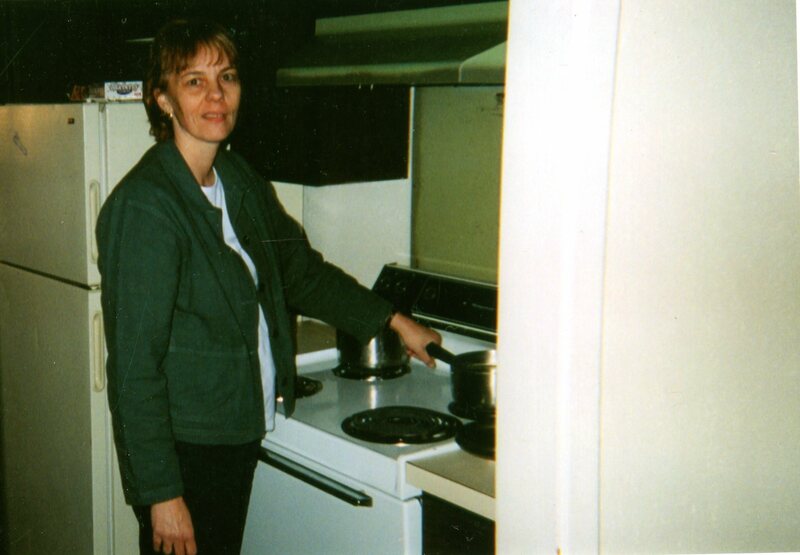 On August 3, 2012, I posted on this site “Me in the Beginning” When you look at my picture taken in 2002, it is easy to see how sick I was. I don’t even think I realized how sick I looked until later when I saw my picture. I knew I felt bad and something horrible was wrong but looking at myself in the mirror daily the changes were gradual. I didn’t suddenly wake up with dark circles, a haunting look, skinnier than I had ever been and with yellowing skin tone. I want to raise awareness that environmental illness, chronic fatigue, fibromyalgia and other chronic illness may not necessarily affect a person’s appearance. It is truly and invisible and silent terror that many go through on a daily basis. I hope that a day will come when someone says they have some unusual or unexplained illness, they will be treated with respect and their complaints taken seriously. Toni Bernhard wrote a wonderful article entitled The challenges of Living with Invisible Pain or Illness. She is also the author of an amazing book, “How to Be Sick”. A dear friend of mine published her book, Intentional Healing: One Woman’s Path to Higher Consciousness and Healing from Environmental and other Chronic Illnesses, a year before I completed Allergic to Life: My Battle for Survival, Courage, and Hope. I hope these writings will allow you to know that you are not alone in your battle with invisible illness. Please take a moment to visit the Invisible Illness website and read the stories that others have shared. Had I been more aware and on top of things this year, I would have included a blog post on this site as I have done in the past. In this final installment of Vanessa’s five part series, she discusses first aid and what she feels is paramount to survival on your own. I first met Vanessa on Planet Thrive. This is the final installment of a five part blog series on homelessness and survival. In this section I will address first aid as a homeless person with limited resources. Disclaimer: the advice in this section does NOT constitute medical advice. Please contact 911 or local emergency personnel or your physician if you are having any medical emergency that requires professional medical intervention. A – I have something large sticking in me. B – I have something that belongs internally coming out of me. D – If I have broken a major bone needing surgery and/or setting (toes and fingers don’t count). F – An infection that either will not go away or is getting worse. H – I am bitten by an animal. (this includes being mauled by a bear or cougar). I – Extremely sick to the point of utter incapacitation by pain, dementia (would I know to call for help? ), or illness OR death was imminent if I don’t do something. Everything else I will try to do myself. These are my general rules and I do not recommend others following these, especially if you have health insurance and do not have to endure prolonging going to the hospital. Kidding aside, I know that prolonging necessary medical treatment will make whatever I have worse and harder to medically manage, possibly leading to further complications. The harsh reality for me is that I am uninsured and I have MCS. I have been in a situation where I told medical staff that I had MCS and was treated like a child. An x-ray tech that came to my room was swimming in cologne and I asked for him to open the window and he would not. He pushed me here and there to get the x-ray while I was trying not to cough. As he left he said, “There’s nothing wrong with you” even though I was spitting up phlegm right in front of him. I will NOT endure this again. This is why I came up with the above list and shared it with my doctors so if they received a call that I was hospitalized, it was serious. I strongly recommend everyone to take first-aid courses if possible, learning CPR and the Heimlich maneuver. Homeless people need to delve a little further by reading about wilderness first-aid when help is hours if not days away. In many of the places I stay the best possible response time in usually 2 hours for them to get to me. The things that I have learned are stop gap measures to enable me to get out to where EMS can reach me faster or until they reach me. I will cover what I carry in my first-aid kit and suggestions for reading material and resources to get educated on what to do in an emergency. Again, this is not a substitute for taking first-aid classes and/or doing your own research. * Various size latex free band-aids (cloth), a couple of the transparent bandages. *Quick Clot bandage for larger wounds which contains a compound to help blood coagulate faster. * Steri-strips for butterfly closures (using the strips to close larger wounds that do not require stitches). * Variety of tapes, different kinds and sizes. Cloth adhesive, fabric adhesive, etc. * One roll of gauze and two rolls of adhesive wrap bandages (for sprains/strains). * Cotton swabs in a vial for applying ointments and iodine. * Kit for foot injuries (blisters, corns, etc). Contains moleskin, band-aids and a needle to pop blisters. Things I need to add yet (as finances allow) – scalpel, EMT scissors (for cutting through clothing if necessary) and syrup of ipecac (for inducing vomiting if poison is ingested), suture kit (a proper one), dental emergency kit (with material to replace a lost filling, temporarily). Some of these things have expiration dates (like the Neosporin, Excedrine, etc) and it is important to go through this bag at least once a year to ensure that everything is current. * Activated Charcoal (for stomach flu or accidental poisoning or uncontrollable diarrhea). Warning: drink lots of water with this and it will turn your stool black. * Azulene oil (from the Yarrow plant), good for burns, wind chaffing. * Traumheel homeopathic salve for bruises and sprains. * 100% Tea Tree oil for antibacterial cleaning and dressing of more severe wounds or infected wounds and for tick bites. * 100% organic, extra virgin coconut oil (Barleans cooking oil). This is great for sunburns, dry skin and small abrasions, scrapes. Keeps skin supple and aids forming scabs on wounds. Also helps to minimize scaring. (but not recommended in grizzly country, smells strongly of coconut). *Astragalus capsules for when I feel like I am getting sick. Some people carry Echinacea as well. I recently received an email from my Naturopaths office regarding first aid kits and equipping them with less toxic homeopathic items. I am copying from her list and sharing this for those who struggle to find acceptable first aid alternatives. -Epipen (prescription needed) A personal note on Epipens. I used to carry two but they were ruined due to my inability to keep them from freezing or getting too hot or exposed to direct sunlight. These need to remain at a fairly constant temperature to keep the epinephrine from degrading and becoming useless. Keep this in mind if you are living outside 100% of the time with no way of keeping these safe. -Euphrasia Eye drops – cleansing eyes. Weleda recommended as it comes in single doses/packets. -Deodorant for skin protection against the wind on my face. I use Alba Botanical with baking soda and lichen. This does have a slight odor to it even though it is fragrance free (no added fragrances, but the essential oils are what gives it its odor). It is waxy, but goes on smooth. It does not protect against the sun. As always, do a small test patch to make sure you do not break out. -Duct tape for slivers. This is ok, but not always effective for deep slivers. -Oatmeal for poison ivy. What I did was break conventional wisdom and scraped the blisters with the dull edge of a knife (wiping the blade each time to prevent spreading). I then boiled down oatmeal so it was thick. I separated the water from the oatmeal and kept the oatmeal juice. I placed the warm oatmeal in a cheese cloth and applied it as a dressing, letting it set for 30 minutes. After wards I would use the water to dab on the blisters (sometimes using vodka to dry them out). I did the dressing twice a day (or more if the itching was really bad). -Apple sauce for diarrhea and whole apples for constipation. The apple sauce is high in pectin and helps with diarrhea. The fiber from the raw apples help to facilitate digestion and bowel movements. -Pitch from either the Douglas Fir or Sub-Alpine Fir for small cuts and abrasions. I have also used the pitch to make an improvised splint with strips of cloth and a large amount of pitch. The pitch hardened making support for the arch of my foot and the compounds in the pitch helped with the inflammation. I do not recommend the Yellow Pine, Lodge pole, Juniper or Ponderosa as the pitch does not seem to harden (make sure to have a tree or plant guide to tell the difference). Again, this is not a substitute for learning first aid on your own; this provides suggestions for handling some emergencies. In Part 4 of the five-part series Vanessa discusses survival gear and what she feels is necessary when living out of your car or tent. I first met Vanessa on planet thrive. I have always loved her posts and comments. When she posted her tips on living Homeless, I wanted to share them with you. This is part 4 in a series of installments on the “Homeless” posts I have been doing dealing with issues regarding weather, gear, clothing, food, etc. Section one addressed shelter and security. Section two was on food, water and hygiene. Section three was on clothing. This section will deal with survival gear and the final installment on First Aid. Survival Gear: If you are going into the remote places of the national forests, BLM (Bureau of Land Management areas), state lands, etc. you MUST be prepared for bad weather, breakdowns with the vehicle and/or equipment and for properly navigating the area. * Maps of the national forest, national parks, state land, etc. You need to have these to be able to navigate the roads and not wind up on an ATV trail and get stuck. Yes, I have inadvertently took off up a mountain on what I thought was a small two-track that turned out to be for ATV’s only. It was only until it actually narrowed to one trail that I realized my error. It was rather humorous for the people going by however. These maps are available at any national forest ranger station as well as national park offices. You can also purchase them online, but they are more expensive this way because you pay shipping and handling. Outdoor stores/backpacking stores carry maps of the national forest and national parks as well. It is also VERY important that you have maps of the states you are travelling because these will show where the campgrounds are as well as the ranger stations. It will also help you navigate the pitfalls of large cities, agricultural areas, swamps, etc. Get acquainted with not only the area but the state as well. * Three mylar (or more) survival blankets. These are best used inside a sleeping bag (or outside if you need to keep the bag dry. They also are great for signaling people if you are in distress. * Sleeping bag. I have a preference for synthetic fill because it is easier to maintain than down since I am homeless and do not have the luxury of fluffing the down up in a dryer. Down also gets compressed which causes it to lose its insulative factor where synthetic takes longer to get compressed. The shells are typically nylon and or polyester, similar to tent fabric because of the need to have “rip stop” fabric in case the bag does get ripped. Bags come in many ratings. Usually from 45 degrees to 30 degrees below zero. A good rule of thumb is that if a bag is rated 10 below, it really is a 0 degree bag. I am not sure why this works out, but it does. The lower the temperature rating, the more expensive. So if you need to, get a 0 degree (10 degree) bag and use a mylar survival blanket as a liner. If in the north, I would not get a bag rated any less than 20 degrees below zero (which is actually 10 degrees below zero). You MUST stay warm. You can achieve this in a number of ways, but do not mess around with a “system” when the wind chill is 20 below and you’re screwing around in your car trying to get it right. * Wool blankets (NOT cotton). Again, to each their own. If wool doesn’t work, then use a synthetic. Cotton blankets are not a good idea in the winter or damp weather because it will get damp and hold moisture there by wicking your body heat out and lowering it. There is a reason why cotton is called the “death cloth” when it comes to outdoor survival. I have an old (very old) army wool blanket. Yes, it took a while to get it usable, but the effort is well worth it. Yes, there will be all kinds of “stuff” in the blankets (again I cannot afford to get my stuff from high-end stores. I have to get things as cheaply as possible and make it work.) Best way to get the blankets off gassed and cleaned is to hang them out in the elements as much as possible. Sun, wind, rain everyday if you can. Wash with cold water and soap (I use 7th Gen or Sal Suds). I got my blanket for about $15 at an army surplus store. * Rain gear. I have pants and jacket. You will need the pants for wading through wet foliage on your way to the “latrine”. Getting wet when you cannot build a fire can be dangerous. Should your clothing get wet, change immediately into dry clothing. If you can’t get rain gear then make a poncho out of large, contractor size garbage bags. These are huge and will cover you completely and the bonus is NO FRAGRANCES! Garbage bag manufacturers are no longer labeling their products as scented (at least some of the ones I’ve bought). * Flashlights. A must is a three D cell Maglight. This is not only a great flashlight but it is durable and a great weapon if need be. It is all metal and fairly heavy. You should also have at least two other sources of light such as a headlamp (fairly inexpensive), which is a necessity so you can have both hands free, and a “mini-Maglight” that is a two AA cell LED flashlight. As far as those who have sensitivities to LED light, I believe there might still be some flashlights left that are non-LED. I use LED because I actually want to see in the dark and see where I am going. * Knives (yes, plural). First, know the laws in your state. Some states have laws limiting the size of knife you can carry. Secondly, remember to take it off before going to public places, some people are very sensitive to the sight of a knife and may misinterpret why you are wearing it (unless you’re in Montana. Just take it off before going into the courthouse or bank, ha ha ha). There are a number of well-known knife makers like Buck and Gerber that make good outdoor utility knives. I have at least four. I recommend getting two knives that have 3-4 inch blades that can be opened with one hand. Gerber calls these “F.A.S.T” knives. These have a button on the handle that you press (a switch that goes up or down) and a knob on the blade that you push with your thumb and it will flick open. On the surface these look like switchblades. They are not. They have a two-step process that can be used with one hand. This is absolutely a must outdoors. I can’t tell you how many times I have had my hand caught on something (or in) and needed to cut whatever was trapping my hand (usually rope in high tension due to high winds). Another knife would be a small 2 inch blade. Lastly is the Leatherman. This is a square, metal version of the Swiss Army knife with some of the same tools. I have a “mini-Leatherman” which has been great for repairing eye glasses (small screw head), digging out slivers (and other foreign objects), etc. If you get a knife then you need to get a whetstone for sharpening them. * Good work or leather gloves. Get whatever you can tolerate, but I don’t recommend fabric gardening gloves because they will get destroyed after a few uses (digging rocks, roots, etc). I have a pair of pig skin gloves (Wells Lamont). These are indestructible. I also have a couple pair of Mechanix gloves that are leather and nylon. There are also cloth gloves with rubber palms and finger tips. You’ll just need to experiment with what works for you. Ultimately, you need to protect your hands. * 100lb test fishing line and some fishing hooks. The fishing line is great for a variety of things, including setting trip lines to deter nosey people from coming in at night. * A compass and a whistle. Quite frankly I don’t see much value in the whistle if no one is around to hear you, but I still carry one just in case I need rescuing. Learn how to use a compass so you can track your location. Should you need to call for help you need to give the dispatcher good directions on how to find you. Telling them that you’re on a forest service road out by a lake isn’t going to help. Pay attention to what forest service road you are on (they are marked in white numbers on a brown background) and how many miles back you are. Know what national forest you are in and the nearest cross roads with the highway. There have been people who have died because they could not give dispatch accurate information on their whereabouts. * Wool vest, wool socks, wool pants. During the fall and winter months I carry these in my backpack for “just in case”. * Duct tape and surveyors tape. Get some brightly colored duct tape (Available cheap at either Staples or Walmart). Surveyors ribbon is light plastic ribbon that should be available in hardware stores or Walmart’s hardware department. If you are out in the woods for a walk and you are not very adept at reading a map or compass then tie these every 100 yards or so. This is like “bread crumbs” that the animals won’t eat (except for stupid cows, long story). Duct tape also has many other uses such as short-term repairs, reinforcing axe handles, getting slivers out, etc. *Trioxylene tablets. I covered these back in the “Food” section. They are used in the military and can be used to cook food in aluminum containers and/or for starting a campfire. * Matches, preferably waterproof or a flint that can be used wet or dry. * About 50 feet of 550lb parachute cord. This can be used to string up a makeshift shelter if needed. * An axe or hatchet. * A hand saw. Available at pretty much any outdoor/sporting goods stores and large retailers who have a sporting goods section OR hardware stores. * A metal hand trowel and toilet paper. (covered in the opening of this section). * Silk glove liners and sock liners. These are worn as a first layer in extreme conditions. *Wool gloves. I have ones that have Thinsulate and are indispensible. * Balaclava. These go over the head and cover the neck and face. They are usually spandex and nylon or spandex and polyester. You NEED to have something to cover your nose and face when the wind chill gets below zero. * Two Shemgahs. A shemgah is what the military wears in the desert (Middle East). It is a square cotton cloth, usually 36-42 inches. They are great for covering your neck and face if you cannot use a Balaclava. These also work great as slings for carrying water jugs from a creek. Note: do NOT get shemgahs in the following color combinations: black/white, red/white, yellow/white, blue/white. These colors are used by the Wahabbi Islamic sect (Saudi Arabia), Palestinians, some other militant Islamic groups and the blue and white is Israel, respectively. Not many people are going to know this, but since I roam around a few military installations I do not want to upset people who may know this or send the wrong message, like expressing support for radical Islam. There are a ton of colors now, but beware, get them from an army surplus site and not a fashion site. The ones used for fashion are poorly made and fall apart/get easily snagged. Plus fashion ones are not 100% cotton. I got mine from Amazon. * A mirror for signaling help. * Energy foods. Have the following tucked away somewhere for “just in case”. Nuts, energy bars (I don’t care which ones, just something with a lot of calories, fat, not just sugar), nut butters in individual packets (peanut or almond), hard candy, seeds (pumpkin, etc), granola. I also have packets of Emergen-C for replacing electrolytes in hot climates. *Hats. Have a good cold weather hat in whatever fabric you tolerate (except cotton). It needs to insulate your head from the cold. A good hot weather hat with a wide brim (or drape in back) to protect you face and neck is also a necessity. * Iodine water purification tablets. I covered this in the “Water” section. * A NOAA (National Oceanographic and Atmospheric Agency) radio. I have an Eton that I bought from Cabelas that is both solar/hand crank lithium rechargeable batteries and battery operated by 3 AAA cell batteries. It also has AM/FM so I have some entertainment. This is crucial for keeping track of adverse weather conditions. I have had to move camp in the middle of the night after tornado and/or flood watches were issued for my area. You can buy cheaper ones that are exclusively for the NOAA weather stations if you don’t want to or can’t listen to the radio. *A waterproof marker and paper. Ok, I know the marker is toxic but here is why you need this, if you leave your car for an extended period of time, write the date and time you left, your destination and your name. Place it folded over on the dashboard of your car. If for whatever reason you go missing; law enforcement will have this information so they know where to look for you. Do NOT leave it open on the dash. This will announce “BREAK INTO ME!” to someone who is tempted to do so. * One or two garbage bags. These can be emergency rain gear or used to place on the ground to lie on to protect you from moisture. * One gallon size Ziploc (or other type) of plastic bag. One of the uses for this is to stuff it full of snow and tuck it in your sleeping bag or inside your jacket (but NOT against your skin) so you can have water. You cannot melt snow in an aluminum (or titanium) cup. When it gets hot it will just steam and jump around. It will not melt. * Yak-trax. These are non-slip plastic and metal slip on “grippers” (can’t think of the word right now) to keep you from slipping on the ice. You pull these over the bottom of your shoes and the metal on them grips slippery surfaces to keep you from falling. A definite must if you are in winter conditions. *First Aid kit (to be covered in section 5) This is not an all-inclusive list, but it’s the basics of the most important factors to staying safe (or alive). Keep dry, keep warm/cool, keep hydrated, keep fed and know where you are. allergictolifemybattle Everything Copyright me 2012 Unauthorized use and/or duplication of this material without express and written permission from this blog's author and/or owner is strictly prohibited.